Kelly Lake is another gem in BC lakes system. 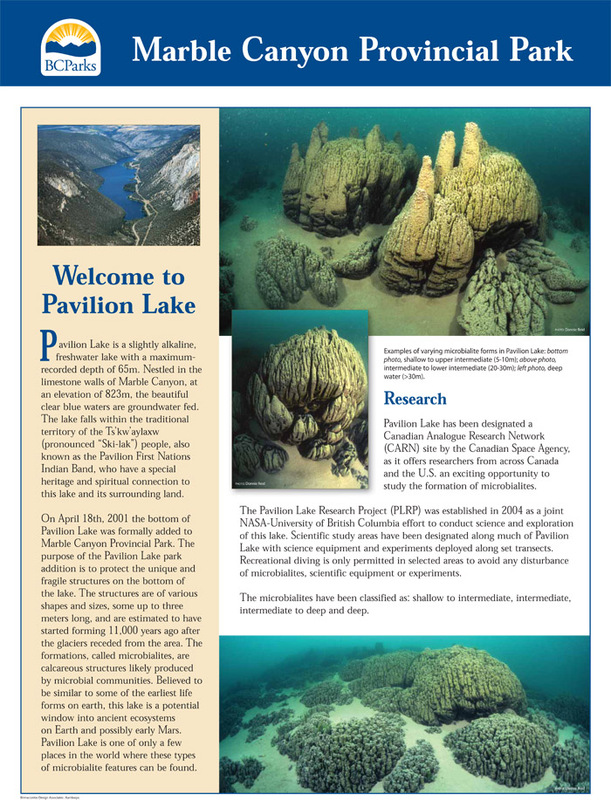 The PLRP Team will be moving its submersible and diving operation to Kelly Lake for the summer of 2011. With the end-to-end mission analogue PLRP scientists will perform similar research in Kelly Lake as they had done in Pavilion Lake. PLRP is committed to working with BC Parks to help preserve Kelly Lake in much the same way we worked with BC Parks to preserve the Pavilion Lake environment for future generations. The result for Pavilion Lake was BC Parks issuing a special advisory for visitors to the lake to ensure its protection. 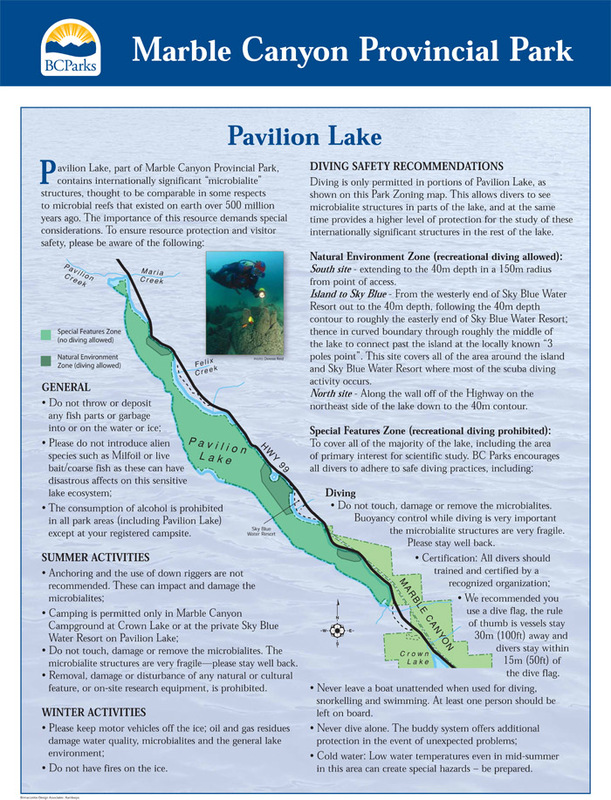 The Pavilion Lake Information Package, is shown below and is posted on a roadside stop at Pavilion Lake along Highway 99. The Information Package may also be downloaded as a pdf. © Copyright 2019 Pavilion Lake Research Project. All Rights Reserved.